“Who are your heroes?” — This is a question I never fail to ask in an interview. Some people like the question, some don’t. Why do I always ask it? We’ve had great men in our history and view them as part of the facilities that we use, just like prisons or the military: once you set those up, you also need to put someone in them. So, with a certain dose of automatism that is inherent to such social requirements, you always pick the person whose turn it happens to be, and bestow those honors upon him that are ripe for bestowing. But such reverence is not wholly real; at its foundation yawns the universally familiar conviction that actually nobody deserves them, making it hard to tell if mouths are open because of enthusiasm or just to yawn. It’s got something to do with ancestor worship when someone today gets called a genius, with the tacit addition that geniuses don’t exist anymore. There is an element of hysterical love at play here, the sort that puts up a big show for no other reason than that it actually lacks the feeling of love. While noble minds receive admiration in the same way as Goethe, Michelangelo, Napoleon and Luther did, nobody today can recall the name of the man who brought the immeasurable blessings of anesthesia to humanity, nobody is scrutinizing the lives of Gauss, Euler or Maxwell to search for a Madam von Stein, and only the very fewest are concerned by the question of knowing where Lavoisier and Cardanus where born and where they died. Instead one learns about how their thoughts and inventions were further developed by the thoughts and inventions of other, just as uninteresting persons, and takes interest only in their works, that continue to live in others, after the short fire of the person has already burned itself out. One marvels at first, when one perceives how sharp the difference between these two kinds of human behavior is, but quickly the counter-examples emerge, and then this difference wants to appear as the most perfectly natural. Familiar habit assures us, it be the frontier between person and work, between the greatness of a human being and that of a cause, between creation and knowledge, humanity and nature. Work and the genius of industriousness don’t increase moral greatness, the fact of being a man under the eyes of the skies, the unanalyzable doctrine of life, that is only inherited through the examples given by statesmen, heroes, singers, but also by movie actors; precisely that great, irrational force, in which the poet also feels a participation, as long as he believes in his words, and maintains that the voice of interiority, of blood, of the heart, of the nation, of Europe, or of humanity speaks through him, depending on his situation in life. It is the mysterious whole, of which he feels himself to be a tool, where others wallow in the realm of what is comprehensible, and his is a mission that requires faith, before it can be seen! What makes us certain of this is without doubt a voice of truth, but isn’t there something peculiar attached to this truth? One notices indeed that where attention focuses more on the works than on the person, strangely enough a fresh new person always appears to take the matter and move forward with it; whereas in those areas where we focus more on the person, after a certain height has been attained the feeling sets in that there no more satisfactory persons left and true greatness belongs to the past? Let’s play along with Musil and posit that real heroes are never currently alive. We then need to distinguish between name-is-important heroes and name-is-irrelevant heroes: The first fit the what-would [name of the hero]-do? type of situation. They serve as global inspirations and spiritual ancestors in an uncertain universe. The second are past contributors of science and technology on whose work successors can build further advances. Within the first category, you’re free to pick your preferred exemplar. Within the second, depending on the field you’re working in, you don’t have the option of ignoring certain picks. 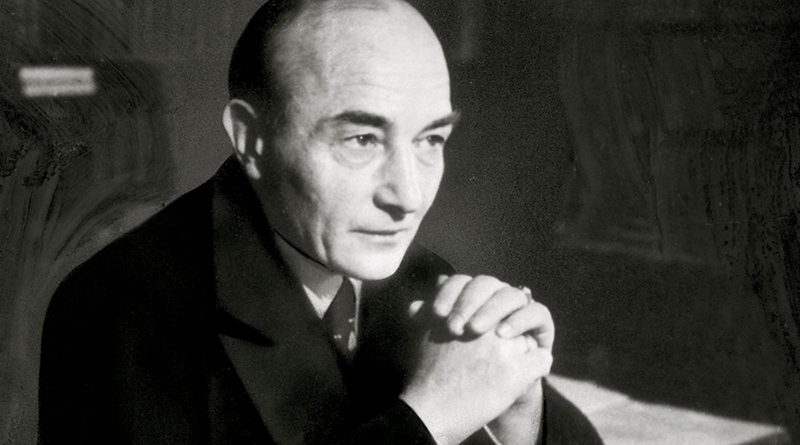 At Presans, we like Musil because he was looking to bridge the gap between the subjective and the objective components of the human experience. Perhaps the story potential of technology is underrated.